Be a Beachbody Coach and start working towards the life of your dreams! Whether you want some extra income, to take a vacation, or have a goal of someday leaving your day job, Beachbody’s business opportunity may be right for you. I am sure you are here because you either use the products or maybe you heard about the business. You’ve come to the right place! In today’s economy, many people are struggling to find work and make ends meet. Starting a home business is the perfect way to earn additional income. Even in this down economy, this company is thriving. It’s one of the fastest growing companies in the U.S. for home based fitness products and nutritionals. If you want to be a Beachbody Coach, now is the time to get started. It makes sense that you would want to partner with a company with proven success in the industry. One thing I love is they invest well over $120 Million a year on advertising. Why is this important? Because getting the word out is already done! Products like P90X, Insanity, TurboFire, Shakeology, and others are already well-known to many, attracting up to 70,000 new customers each week! And with Beachbody’s unique incentive for qualified Coaches, these customers are distributed to Coaches like you and me every week! You then earn on future purchases from the customer. Pretty sweet deal if you ask me! You will love all the great ways to earn income. First, you earn 25% commission on products sold. That means if you sell one P90X fitness program or Shakeology, you would earn $30 commission. Retail is only half the story. When you build a team, you also earn team bonuses that are more lucrative as you move through the Coach levels. It all starts with YOUR dream and goals in your life. If you are tired of never having enough money to do things like take fun vacations with your family or maybe you don’t even have time to spend with them. Whatever the situation, starting a home business can eventually help you achieve your goals of more time and more money. If you are ready to be a Beachbody Coach, you enroll for $39.95. After the first 30 days, there is a $16.00 business fee for which you get 2 websites and an online office to help you manage your business, provide education and personal development. You can also enroll with a Beachbody Challenge pack in which case your enrollment is waived. Once you enroll, I will contact you and get you started on your way to success! Remember, I am here to support you. Once you get started, we are a team! 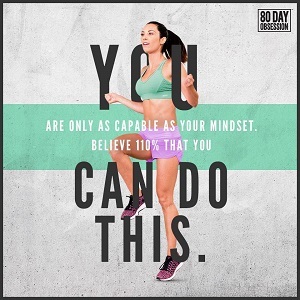 You can “be a Beachbody Coach” and make your dreams and goals happen! Click here to start your business today!